I’m Elena, creative and Leo’s mum.I left my work place in a luxury industry just to listen to my creativity that is constantly with me. The thing that I really love is that your love is expressed through a coordinated event characterized by a flow of creations, unique as you all are. I believe that knowing how to listen is the first step to realize your dreams. For this, my creativity is an instruments that is always here at your service and with marvelous ideas I’ll organize your wedding as you’ve always dreamt it. 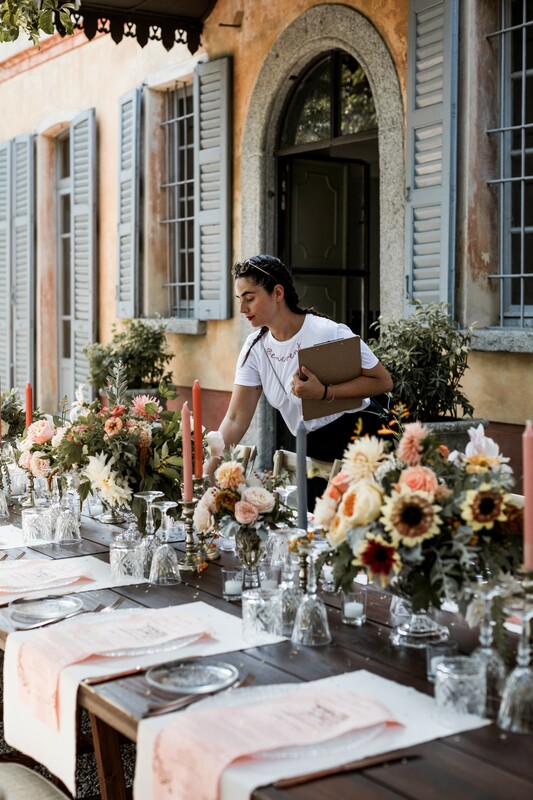 What I love to do, is inspiring you and guiding you through the selection of styles, suppliers and all the small and different details.I do researches on a daily basis to find new ideas, top trends and whimsical inspirations for every wedding to be one of a kind. I’m located in the historical centre of Como, and I perfectly know the exclusivity of this venue and the stunning natural landscapes that makes it a magic place for wedding and events, whatever the style: classic and elegant villas or rustic farm houses, the locations’ proposal will make you fall in love and give to your special day a very glamorous look. Through years of experience I have built a strong network of field professionals. They love to offer their experience to meet your requests, with the exact same passion as mine, and I’m always searching for new designers to surprise you with elegance and glam. Are you ready to tell me about your dream? First meeting is complimentary, we are waiting for you!